The Sustainability Team plays an active role on the President's Sustainability Council, and serves as the on-campus advocate for environmental sustainability at York University. Working with internal and external stakeholders, the team identifies opportunities and implements solutions, works to reduce risk and ensures environmental sustainability is embedded into capital projects, campus maintenance, operations and infrastructure improvements. York University is committed to sustainability and has a strong history of sustainability within Campus Services & Business Operations (CSBO). A wide variety of activities and initiatives are currently ongoing across CSBO and it has led to significant achievements in several key areas, including energy conservation, waste management, food and transportation. 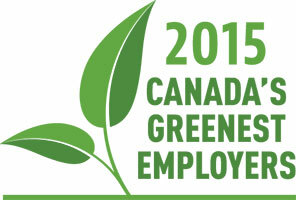 As a result, of coordinated efforts, York University has been named one of the Greenest Employers five years in a row. York University annually published sustainability reports, which has detailed information on our initiatives and achievements. Learn more about the Annual 20 Minute Clean Up.